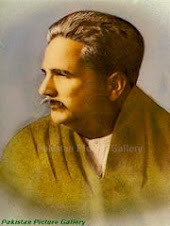 I am creating this blog in the memory of great urdu poet "Majaz Lakhnavi", often reffered as "Keats" of urdu poetry. It is a place where you can find all the colors of urdu poetry and all about the poets. I am dedicating this blog to my favorite shayer "Majaz Lucknawi"... So Come and take a dip in DHANAK. jama karate ho kyoN raqeeboN ka? ham kahaaN qismat aazmaane jaayaiN? aaj hee ghar meiN boriya na huaa! rahzanee hai ki dil_sitaanee hai? Aaj 'GHalib' GHazalsara na huaa"
GHALIB ko bura Q kaho achcha mere aage....?? In poetry, the ghazal (Persian: غزل; Turkish gazel) is a poetic form consisting of rhyming couplets and a refrain. Each line must share the same meter. The Arabic word "ghazal" is pronounced roughly like the English word "guzzle", but with a different first consonant, and literally means "speaking with women." A ghazal may be understood as a poetic expression of both the pain of loss or separation and the beauty of love in spite of that pain. The form is ancient, originating in 6th century pre-Islamic Arabic verse. It is derived from the Arabian panegyric qasiida. The structural requirements of the ghazal are similar in stringency to those of the Petrarcan sonnet. In its style and content it is a genre which has proved capable of an extraordinary variety of expression around its central themes of love and separation. It is one of the principal poetic forms the Indo-Perso-Arabic civilization offered to the eastern Islamic world. The ghazal spread into South Asia in the 12th century under the influence of the new Islamic Sultanate courts and Sufi mystics. Exotic to the region, as is indicated by the very sounds of the name itself when properly pronounced as ġazal, with its very un-Indian initial voiced velar fricative g. Although the ghazal is most prominently a form of Urdu poetry, today, it is found in the poetry of many languages. Ghazals were written by the Persian mystics and poets Jalal al-Din Muhammad Rumi (13th century) and Hafez (14th century), the Turkish poet Fuzuli (16th century), as well as Mirza Ghalib (1797–1869) and Muhammad Iqbal (1877–1938), who both wrote Ghazals in Persian and Urdu. Through the influence of Johann Wolfgang von Goethe (1749–1832), the ghazal became very popular in Germany in the 19th century, and the form was used extensively by Friedrich Rückert (1788–1866) and August von Platen (1796–1835). The Kashmiri-American poet Agha Shahid Ali was a proponent of the form, both in English and in other languages; he edited a volume of "real ghazals in English." In some modernized ghazals the poet's name is featured somewhere in the last verse. The ghazal not only has a specific form, but traditionally deals with just one subject: Love. And not any kind of love, but specifically, an illicit, and unattainable love. The subcontinental ghazals have an influence of Islamic Mysticism and the subject of love can usually be interpreted for a higher being or for a mortal beloved. The love is always viewed as something that will complete a human being, and if attained will lift him or her into the ranks of the wise, or will bring satisfaction to the soul of the poet. Traditional ghazal love may or may not have an explicit element of sexual desire in it, and hence the love may be spiritual. Baharsu raqs-e bismil buud shab jaay ki man buudam. Sarapa aafat-e dil buud shab jaay ki man buudam. 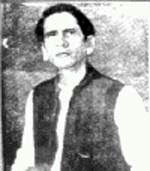 Asrarul Haq was born in Rudauli, Bara Banki in 1911. He received his early education in Lucknow and Agra, and then got his B.A. at Aligarh Muslim University. He started writing poems while in Aligarh and soon became a popular among the masses and well-respected among the literati. A heavy drinker, Majaz died alone in a tavern on the cold winter night of 5th December 1955 in Lucknow. "Aahang" and "Saaz-e-Nau" are two of his poetry compilations. His sister Safiya was married to Jan Nisar Akhtar, father of Javed Akhtar. Majaz is also well-known for writing the anthem for Aligarh Muslim University, 'ye meraa chaman'. Mirza Asadullah Beg Khan (known to posterity as Ghalib, a 'nom de plume' he adopted in the tradition of all clasical Urdu poets, was born in the city of Agra, of parents with Turkish aristocratic ancestry, probably on December 27th, 1797. 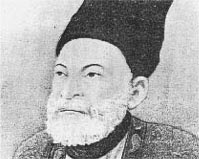 As to the precise date, Imtiyaz Ali Arshi has conjectured, on the basis of Ghalib's horoscope, that the poet might have been born a month later, in January 1798. The last Mughal emperor of India, Bahadur Shah Zafar II (1775-1862) was born Abu Zafar Sirajuddin Muhammad Bahadur Shah Zafar and was a very famous Urdu poet in his times. His poems are still read with much enthusiasm and admiration among the numerous Urdu poetry fans. The life history of Bahadur Shah Zafar is very interesting and is read with much enthusiasm by all. Read on further about Bahadur Shah Zafar biography and learn more about this Mughal emperor who was a genius poet. Regarded as one of the greatest Urdu poets in the history of India, Bahadur Shah Zafar wrote a large number of Urdu Ghazals most of which were lost during wars fought in the year 1857. Yet, many of them were saved and were later on compiled as Kulliyat-I-Zafar. His Ghazals are a beautiful collection of words that spell magic and are read with awe and admiration even today. 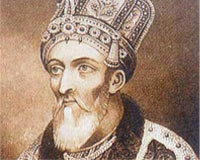 Bahadur Shah Zafar was the last and the weakest Mughal emperor. Even then he was considered a hero and was portrayed like one in many Hindi films. A road has been named in his honor in New Delhi, India. His valuable contribution in the Indian freedom struggle is very much acknowledged and he is known as a nationalist in modern India. He was not a very able emperor and his empire had a lot of chaos and unrest. He was defeated and was sent on an exile in Rangoon. He died over there in the year 1862 and a tomb was built in his honor, which exists even today.